There's not much that's new in News & Weather 2.1. This update is all about making the interface and animations consistent with other recently-Materialized apps. We've seen exactly three new things: one, the statusbar changes color to match the action bar on Lollipop, like an increasing number of Google apps. Two, the pull-to-refresh action uses the newfangled circular refresh animation instead of a horizontal bar. And three, the hamburger menu now animates into an arrow when the slide-out menu is activated. August is over, and as a resident of the southern United States, I say good riddance - we're now beginning the slow slide into the more bearable part of the year. But Android apps know no season, and while the crop of new apps from August was a little light, there are a few that you should definitely check out. Below are the Android Police writers' picks for the best new apps from the last month, plus a few honorable mentions. Update: An update to the News & Weather app posted yesterday, September 8th, seems to have fixed some of the compatibility errors people have been seeing. At least here in the United States, the app is compatible with every Android 4.0+ device for all of our writers. There doesn't appear to be any other significant update just yet. 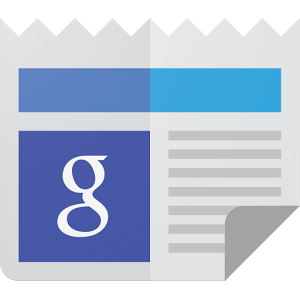 Google's News & Weather app, AKA the "Genie" widget (after the APK name), has been more or less unchanged for years.